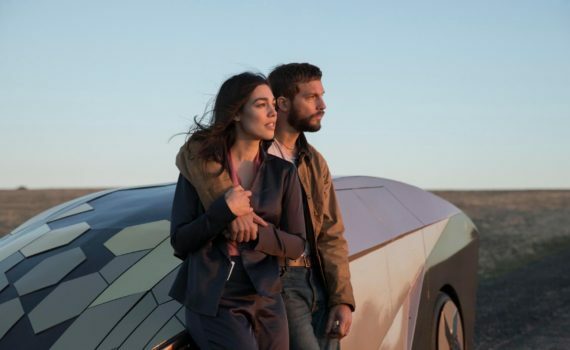 Upgrade has been called Knockoff for what are not completely ludicrous reasons, each viewer noticing different pieces and certain aspects as being lifted from other, perhaps better films. It reminded me most of Blade Runner 2049, with its look into the future and its enhancement of humans, but also a bit of Mute, a Netflix flick that didn’t do so hot. A movie with some RoboCop action and some Saw gore, Upgrade is never entirely its own picture, which is its biggest failing but perhaps the only reason it was made in the first place. The plot isn’t an original idea, it required the service of others, but no one is overlooking or apologizing for that fact; it’s simply how the feature was built. But putting that aside, the execution earns a watch, as the construction of the Frankenstein monster may not have been electric, but the animation was. In the cities in the near-future, we are all connected by computers. Of course, we all are now, but not quite in as literal a sense. Police drones patrol the skies, humans can be read by their digital tags, driverless cars roam the streets, and corporations have made technology their only priority. The way of the mechanic, the artist, and the dreamer has gone by the wayside, to be replaced by advancements in humanity, as if evolution wasn’t currently on the job. Grey Trace hates this new obsession with machines, would rather continue his old obsession with muscle cars, and stays as far away from automation as he can. But when his wife is killed in a tragic accident-turned-robbery and he is left paralyzed, technology will be his savior. A cutting edge device gives him back control of his legs, and also gives him abilities he’s never known before. On the track of the men who murdered his love, Grey will stumble upon secrets that connect himself with his enemies, a sentient program called Stem that now lives inside his own mind. If you’re a fan of sci-fi, Upgrade has you covered. The futuristic aspect is well done, it’s an interesting world that the characters live in, if, again, not the most original. There’s a Blade Runner element, super humans and enhanced humans and weaponized humans; it’s a thing. And there are other aspects taken from other films, that’s where this one gets in a little trouble, but the genre is one that often borrows from itself, so that won’t come as a surprise. The action, violence, and blood are a little unexpected, and morph the feature into something other than science fiction, less than drama, creating some new kind of category. That’s all fine, but perhaps this category needs a little refining. Audiences won’t be sure what kind of film they’re watching, and the quality takes a few dips along the way, mostly in the acting of anyone involved other than Logan Marshall-Green. He’s great, he plays a difficult part well, he simply isn’t surrounded with much of a supporting cast. Had he been, and had more attention been paid to the nuances of this story, Upgrade would have been a legitimate step up, not just another linear move.